Transportes Lemos, Lda has been a road transport services company for about 50 years. In 1963 Mario de Almeida Lemos started his first company. In the beginning, the road transport services operated at a local range. In 1968 , the company started the long distance road transport services . In 1982, the company started the road transport services all over the Iberian Peninsula . In 1988, the company was established and named as Transportes Lemos, Lda . In 1992, after another licence agreement, the road transport services were expanded through the CE. 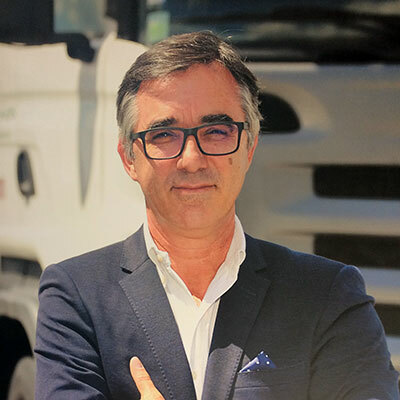 Nowadays, with the support of the second generation of the family running and contribution, Jorge Lemos, the services are expanding to the international range. Since then, Transportes Lemos, Lda keeps working to be a market reference. We intend to consolidate and improve our transport services in order to guarantee customer services and to provide a friendly-environmental and sustainable management. To be a market reference to our clients, staff and collaborators in the national and international transport and distribution services. Rigor at work and high standards of professionalism. WE EXCEL IN RIGOR, QUALITY, COMPLIANCE OF DELIVERY TIMES AND ADAPTATION OF THE VEHICLES TO YOUR NEEDS.